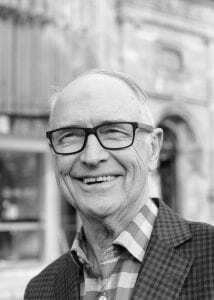 Ross Garnaut is an economist whose career has been built around the analysis of and practice of policy connected to development, economic policy and international relations in Australia, Asia and the Pacific. He has held senior roles in universities, business, government and other Australian and international institutions. He is Professorial Research Fellow in Economics at the University of Melbourne. In 2009 Ross was awarded the degree of Doctor of Letters, honoris causa, from the Australian National University and in 2013 he received a Doctor of Science in Economics, honoris causa, from the University of Sydney. He is a Fellow of the Australian Academy of Sciences and a Distinguished Fellow of the Economic Society of Australia. In addition, Ross is a Distinguished Life Member of the Australian Agricultural and Resource Economics Society and also an Honorary Professor of the Chinese Academy of Social Sciences. Ross was Chairman of the Papua New Guinea Sustainable Development Program Limited from 2002 to 2012 and its nominee Director to Ok Tedi Mining Limited 2002 to 2013 (Chairman 2011-2013). He was Chairman of Lihir Gold Limited from 1995 to 2010. Ross was Head of the Economics Department and Division of the Research School of Pacific and Asian Studies at the Australian National University for over a decade from 1989. He played leading roles from the mid-seventies until 2009 in building the Australian National University’s capacity in research and graduate education on Southeast Asia, China (including as Chairman of the China Economy and Business Program from its foundation in 1989 to 2009), and South Asia. He is the author or editor (alone or jointly with others) of 48 books in addition to numerous influential articles in scholarly journals and books on international economics, public finance, and economic development. He has been Chairman of the Editorial Boards of the journals Asian-Pacific Economic Literature and Bulletin of Indonesian Economic Studies since 1989. Ross is a founding Director of both the Lowy Institute of International Policy and of Asialink. He has held a number of senior Government positions, including as head of the Financial and Economic Policy Division of the Papua New Guinea Department of Finance in the years straddling Independence in 1975; principal economic adviser to Australian Prime Minister Bob Hawke; Australian Ambassador to China (1985-88). He has led many high-level Government Reviews and Commissions, including the preparation of the Report to the Australian Prime Minister and Foreign Minister ‘Australia and the Northeast Asian Ascendency’ (1989); the Review of the Wool Industry (1993); the Review of Commonwealth-State Funding (2002); and the Garnaut Climate Change Review (2008). Ross was appointed as an independent expert advisor to the Multi-Party Climate Change Committee in September 2010 and was commissioned in November 2010 by the Minister for Climate Change and Energy Efficiency to update significant elements of his 2008 Climate Change Review. He has led Australian diplomatic missions interacting at Head of Government level to Asian countries on trade policy (1984), to Korea (1989) and the ANC in South Africa. Ross has been consulted on trade policy and relations with Asia and the Pacific from time to time by the Prime Minister and senior Ministers of successive Australian governments since the Fraser Government (1975-1983). He has held positions as Chairman of the boards of large Australian and international public companies continuously since 1988, including the Bank of Western Australia, the Primary Industry Bank of Australia and Aluminium Smelters of Victoria. He was Chairman of the Australian Centre for International Agricultural Research from 1994 to 2000 and also held the position of Chairman of the Board of Trustees of the International Food Policy Research Institute (Washington DC) from 2006 to June 2010. Ross became Chairman of SIMEC ZEN Energy Technologies Pty Ltd in 2015. In October 2017, ZEN Energy formed a strategic partnership with global company GFG Alliance and Professor Garnaut became President of SIMEC ZEN Energy. 2018 (with Ligang Song, Cai Fang (editors)), Forty Years of Economic Reform and development, 1978 – 2018, Australian National University E-Press, Canberra, co-published with the Social Sciences Academic Press (China). 2017 (with L. Johnston, L and L.Song, L.), Where Is the Chinese Economy Going? : A Forum on Contemporary Policy and Performance. Australian Economic Review, Wiley, University of Melbourne. 2017 (with Ligang Song, Cai Fang and Lauren Johnston (editors)), China’s New Sources of Economic Growth: Human Capital, Innovation and Technological Change Vol. 2 , Australian National University E-Press, Canberra, co-published with the Social Sciences Academic Press (China).